One of the signs of a healthy family is open and meaningful conversation. But it's not always easy to get your kids talking. "101 Conversation Starters for Families" is an excellent place to begin, providing just the right blend of fun and thought-provoking questions. 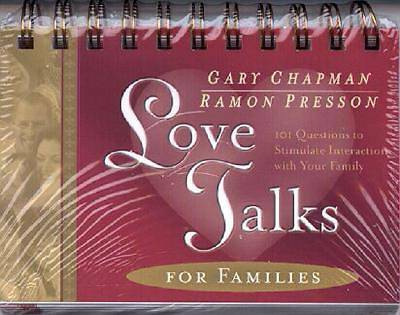 Authors Gary Chapman and Ramon Presson have created this treasure trove in a handy tabletop format. Whether you do one question a week or five days a week, your family will experience a new level of closeness. "101 Conversation Starters for Families" is the perfect companion to bestselling books, "The 5 Love Languages of Children" and" The 5 Love Languages of Teenagers."